Following Hernan Cortes’s 1521 conquest of Tenochtitlan, the expedition produced a map of the city that bears striking similarities to Thomas More’s Utopia. Drafted in 1524, the drawing depicted Tenochtitlan as an enchanted urban island, surrounded by lakes. 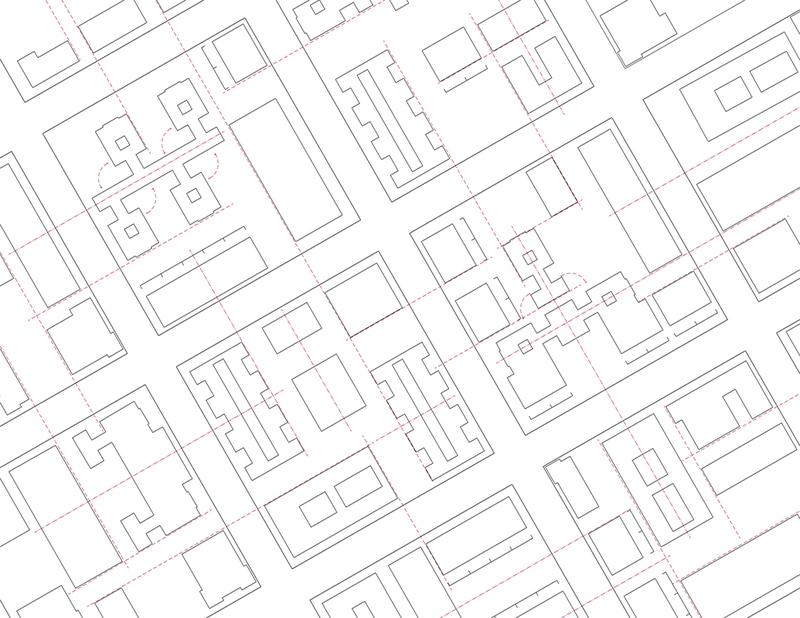 Today Mexico City is an city of enclaves. 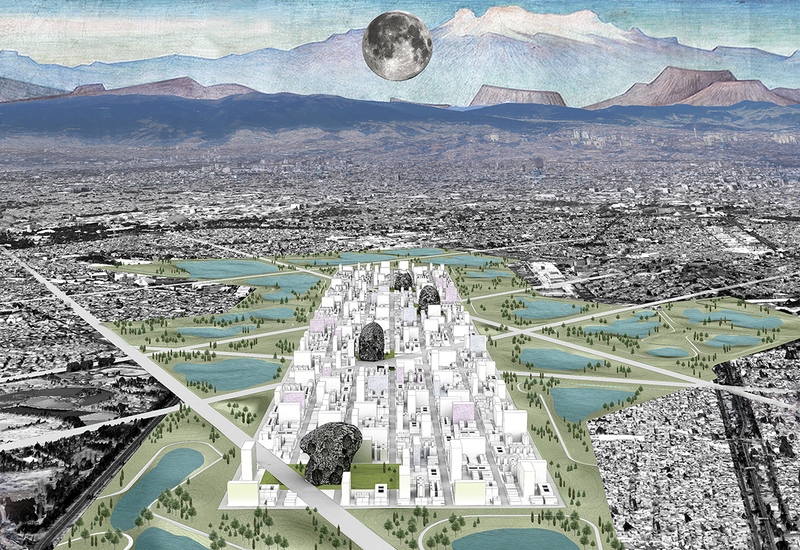 From colonias constructed by individual developers in the 19th century, to contemporary gated communities, the city is a patchwork of discrete formal organizations indexing social and economic exclusion. 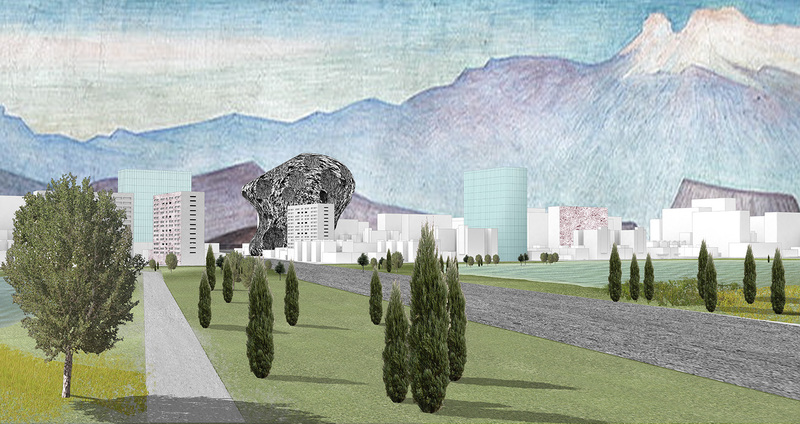 And yet, within the enclave we might recognize a fleeting glimpse of Mexico City’s history of eliciting utopia imagination. 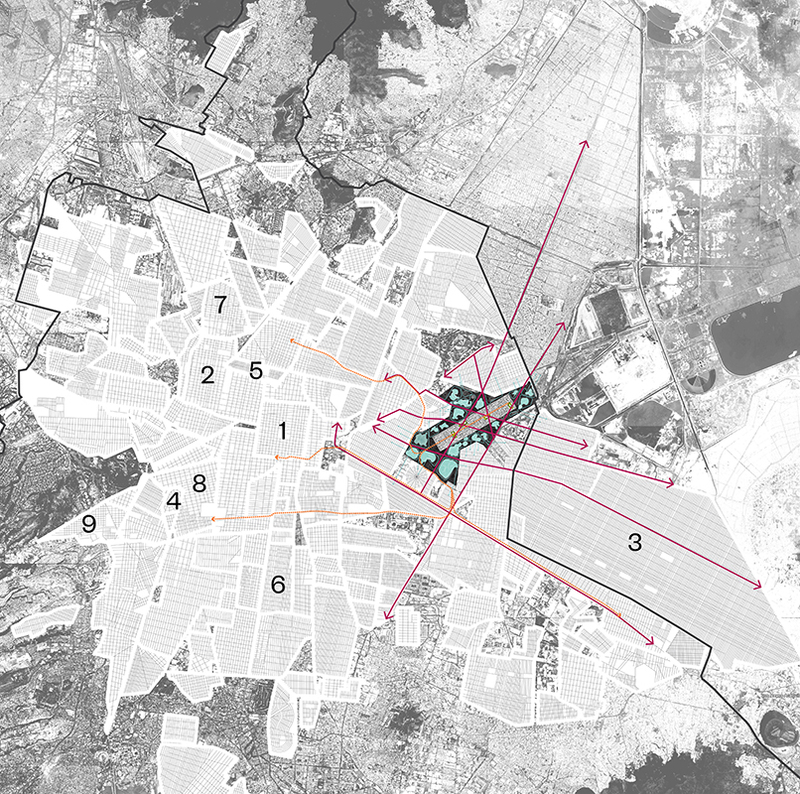 This project engages Mexico City’s history of utopic speculation through the design of a new enclave on the site of the Benito Juarez International Airport. 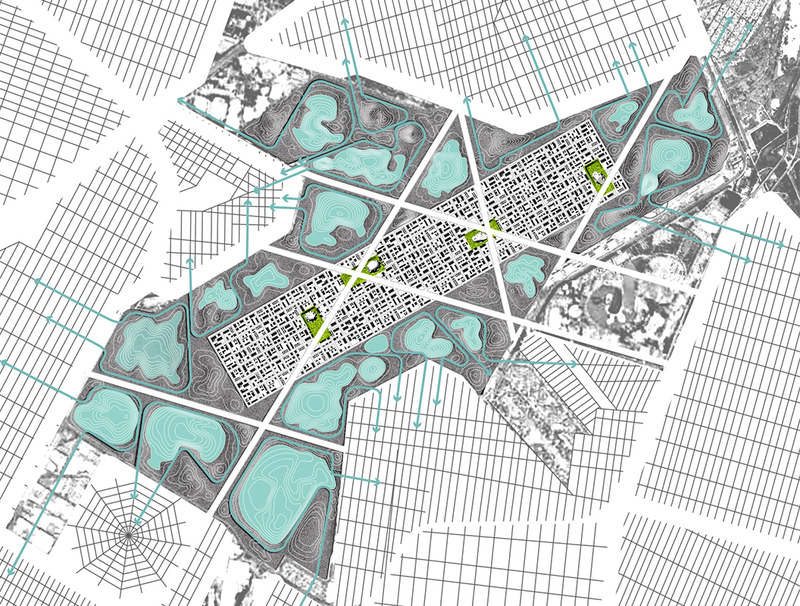 Development is consolidated within a gridiron at the center of the site, separated from the surroundings by a park in which the terrain has been reshaped to produce bioswales. 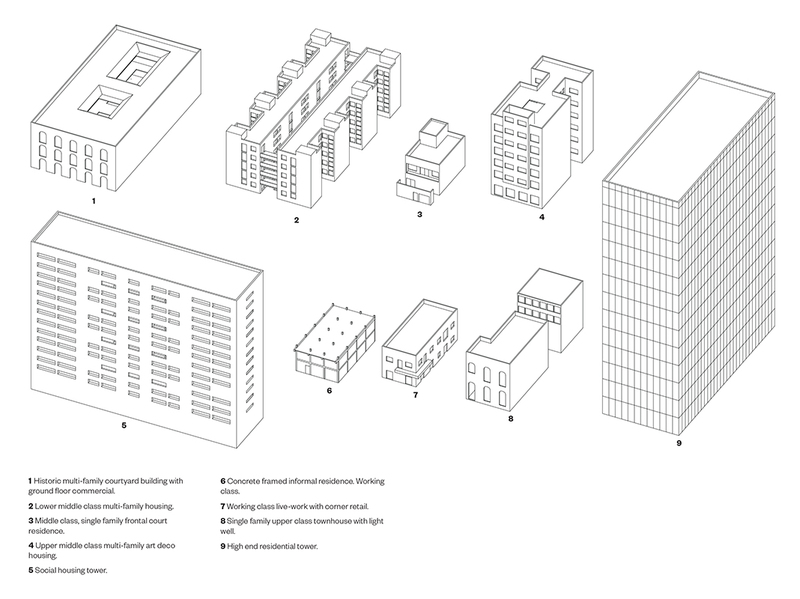 Within the blocks, building types characteristic of enclaves throughout the city are placed in radical adjacency, creating new spaces of encounter. 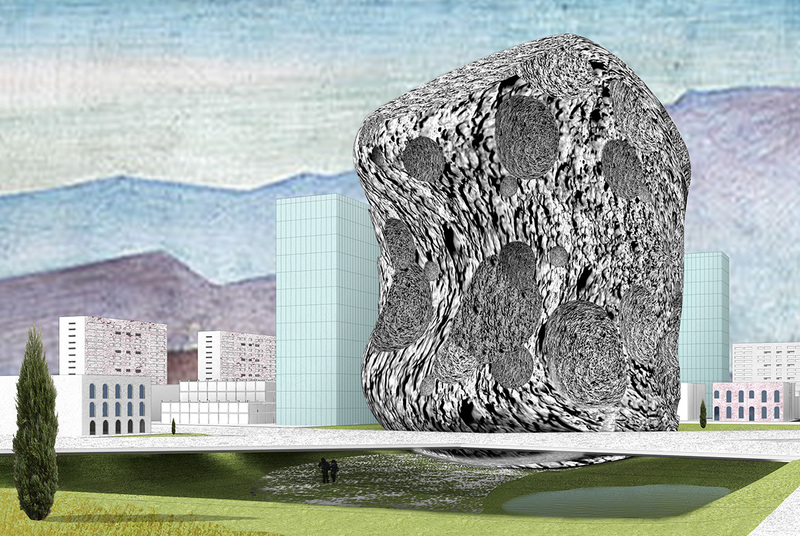 Four enormous and enigmatic “new ruins” offer loci for common identification, while providing water and civic amenities.